Updated November 2, 2016 – Oticon’s Agil hearing aids are an advanced series of hearing devices that are designed to provide users with enhanced hearing and understanding, with reduced listening effort. The devices feature an advanced sound processing chip that allows them to do much more than previous Oticon hearing aids have done before. Available in two different performance levels, the Agil, and the Agil Pro, the Agil hearing aids allow users to choose exactly which features they desire in a hearing device. Oticon Agil hearing aids are available in a wide variety of styles, including Receiver-In-The-Ear (RITE), mini RITE, Behind-The-Ear (BTE), and mini BTE. Speech Guard: This dual-analysis signal processing technology continuously evaluates incoming sound signals before they are amplified, allowing only the appropriate signals to be amplified. This keeps users from becoming bombarded with unimportant sound information. Spatial Sound 2: This feature supports the brain’s natural process of speech understanding, allowing users to keep from getting overwhelmed by sound. This can help users focus on voices, making in-noise conversations much easier. Binaural Synchronization: This feature allows for wireless communication between the user’s two hearing devices, so gain changes can be applied equally to each hearing aid as needed. Binaural Coordination: This feature allows for automatic synchronization of the volume and program on both hearing devices. Binaural DFC2: This Digital Feedback Cancellation system instantly suppresses the annoying whistling sound that can sometimes occur with hearing devices while talking on the phone. Eliminating this sound can allow users to have much more enjoyable phone conversations. 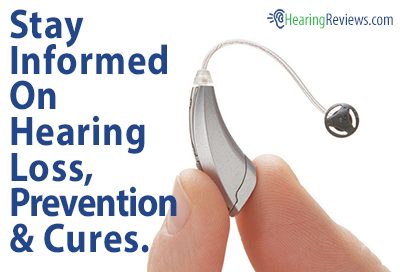 My Voice: This feature allows the user’s Agil hearing aid to know when the user is listening or talking. This feature helps to stabilize sound in a conversation, eliminating unwanted responses by the hearing aid in difficult listening situations, especially when the user beings to speak. Multi-Band Adaptive Directionality: This helps make conversations in noisy environments easier, by allowing users to focus on important speech sounds, and ignore unimportant background noise. TriState Noise Management: This feature helps reduce the volume of loud background sounds, allowing users to focus on what they need to. Power Bass: This feature restores the rich bass sound that can sometimes be lost with an open-fitting hearing aid. It also provides a more harmonic low-frequency sound experience, bringing more true-to-life sound quality to those who may have lost it. Music Widening: This feature provides users’ hearing aids with a sense of space and realism to the music that he or she listens to. Oticon’s Agil hearing aids are also compatible with the company’s accessories that help deliver an enhanced listening experience in a variety of situations. This is a small device worn around the neck that allows the user to wirelessly connect to cell phones, ConnectLine devices, or other electronic devices. When the device is linked to mobile phones, users can use their hearing devices as wireless ear pieces, allowing them to hear his or her conversation in both ears. The device also allows users to hear the audio from multiple devices without having to reconnect. With the Streamer, users can also make quick and easy adjustments to the settings of his or her hearing aid, as it also acts as a remote control. This small accessory connects to the audio output port of any television, and allows users to stream their television’s audio directly to his or her hearing devices, in stereo sound (both ears). With a range of up to 30 feet, users can hear the television’s sound even if they briefly leave the room. This device allows users to watch television at their own volume, while their family watches at a volume comfortable for them. This device turns the user’s existing landline telephone into a cordless Bluetooth phone. The device sends the phone’s signal up to 30 feet to the user’s Streamer, allowing users to answer the phone within this range. 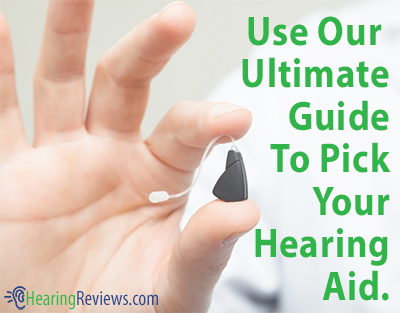 Users can also use his or her Agil hearing aids as wireless ear pieces, allowing for hands-free phone conversations. i bought my Agil pro oticon hearing aids three years ago and they have been in repair numerous times. I told them from the start that I had a bad sweating problem and they said i should be fine. Well not so. After a year and many repairs for receiver going out they gave me a Zephyr drink box. That seemed to solve the problem for awhile. now I’m having problems where they just go out for no reason. I’m just disappointed i was hoping not to have all of these problems.